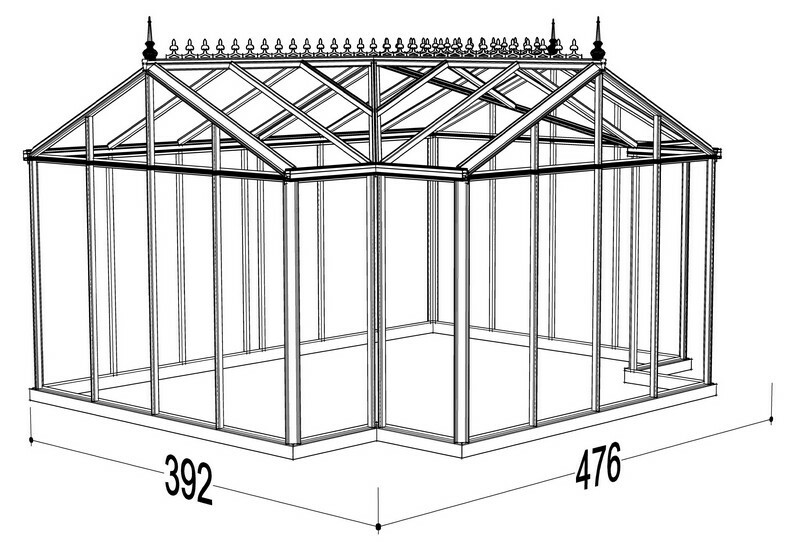 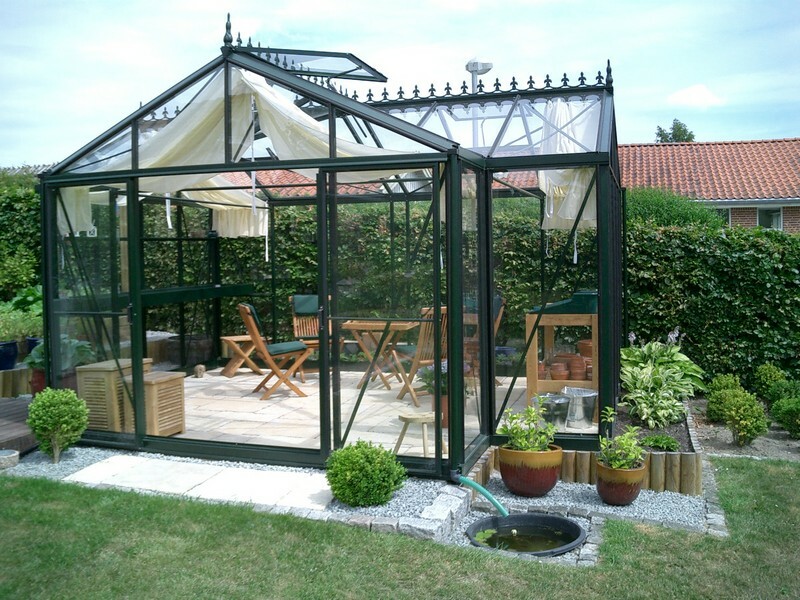 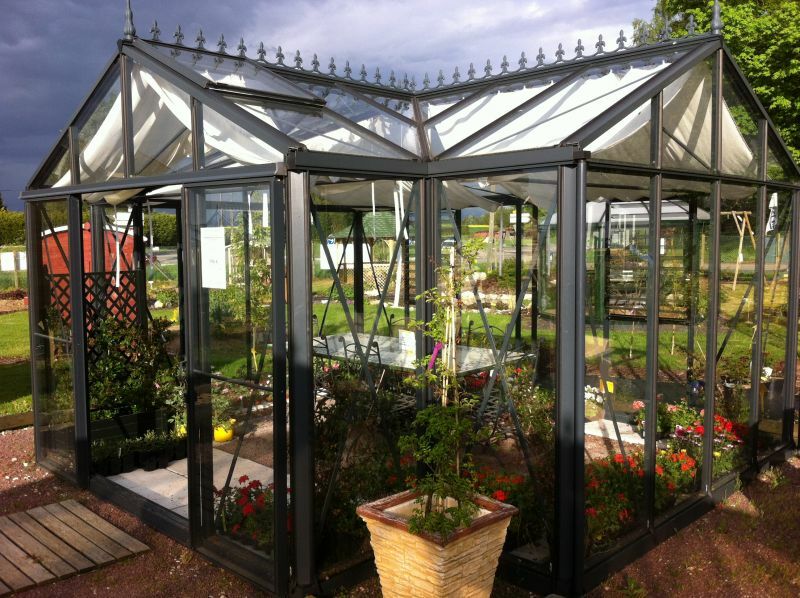 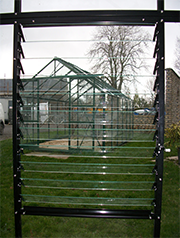 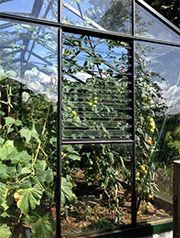 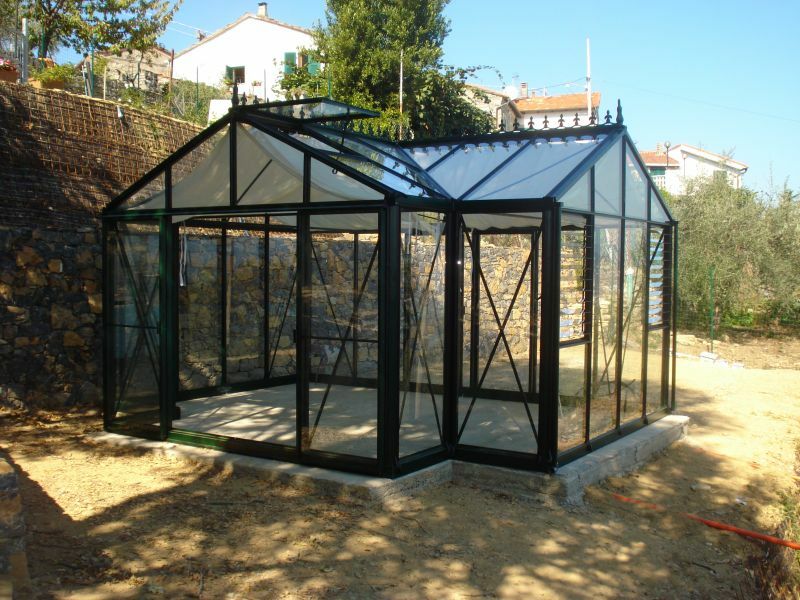 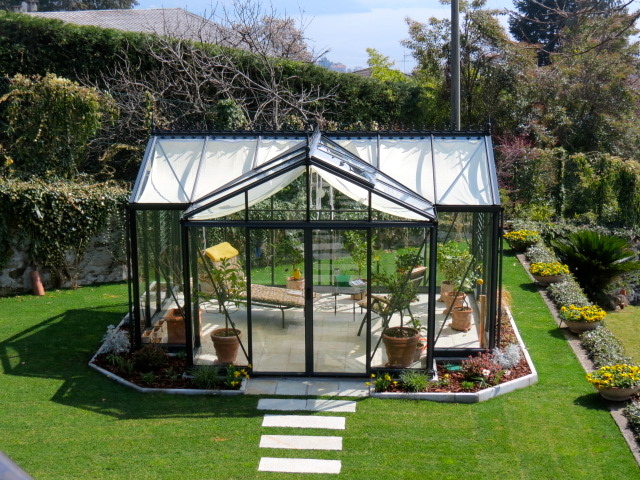 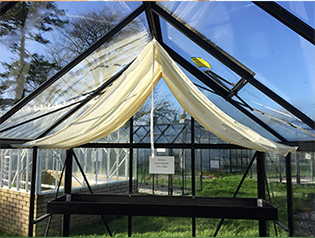 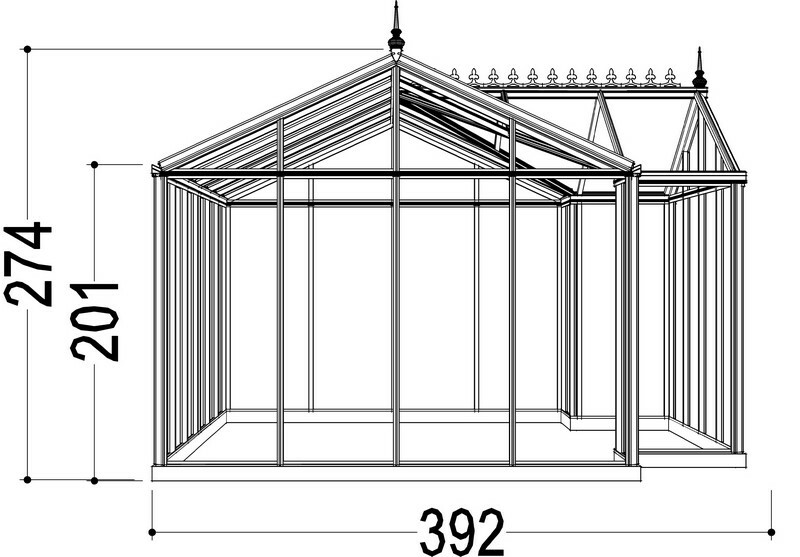 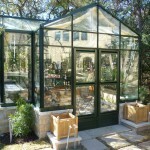 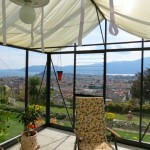 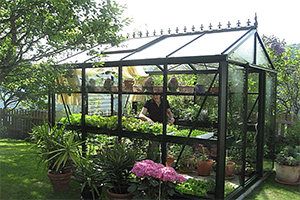 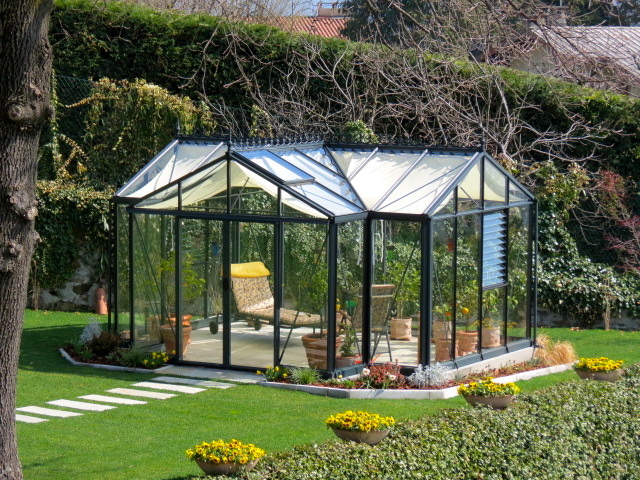 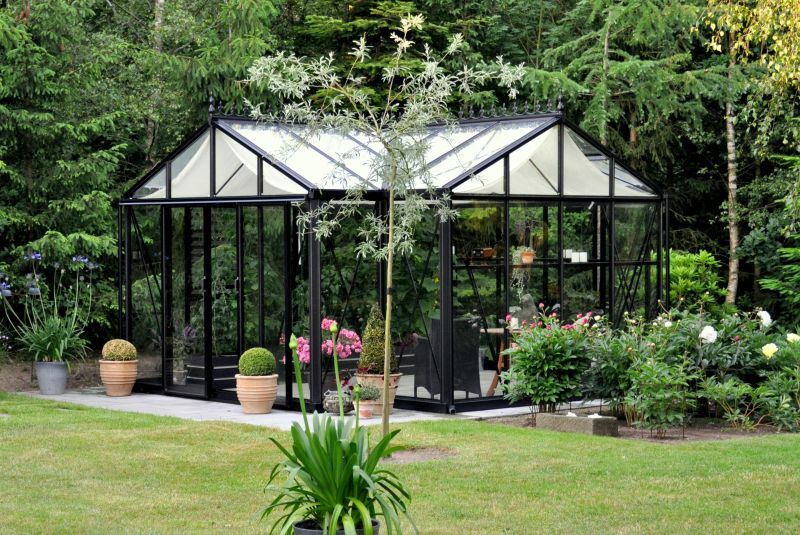 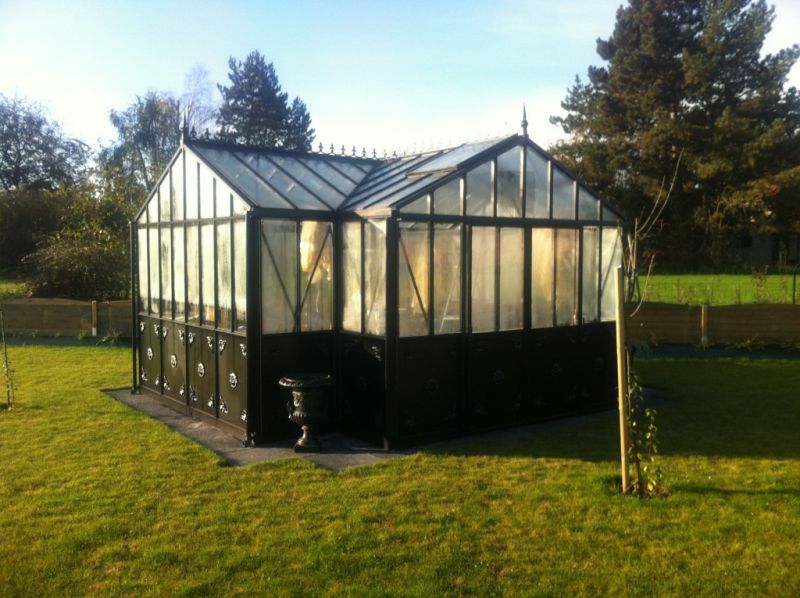 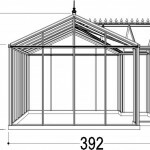 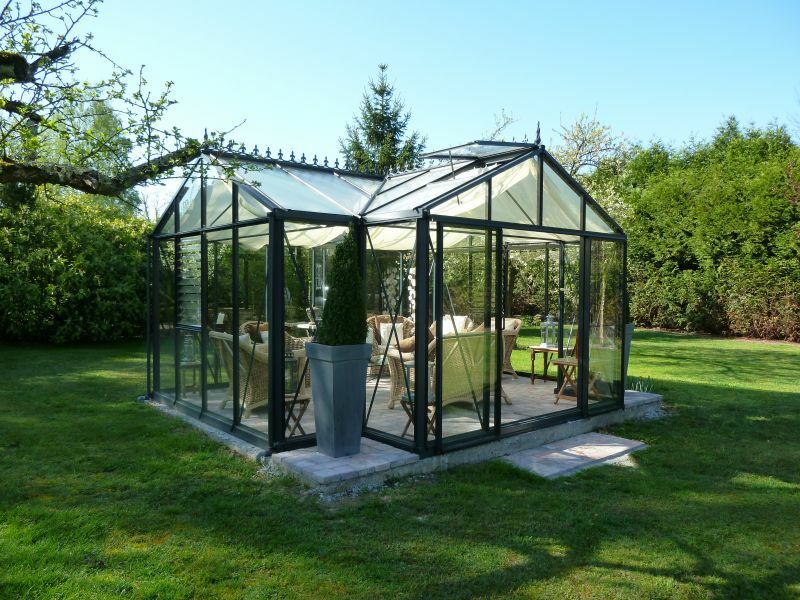 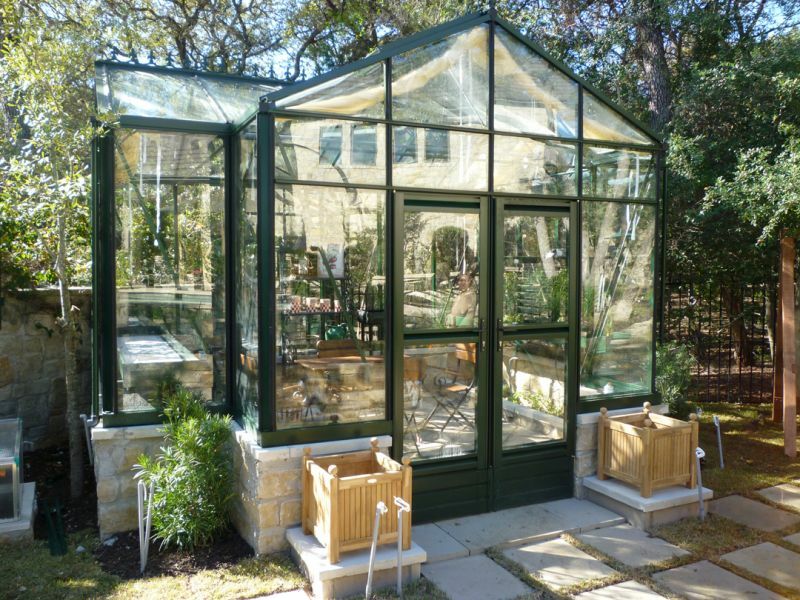 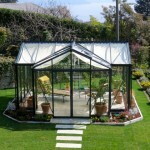 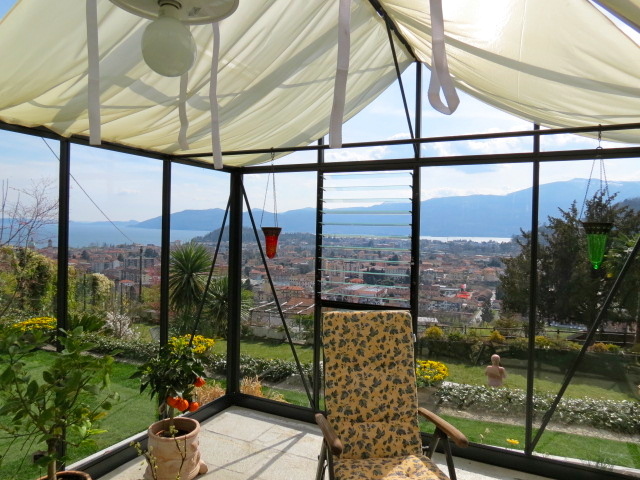 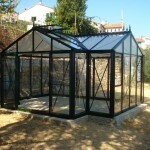 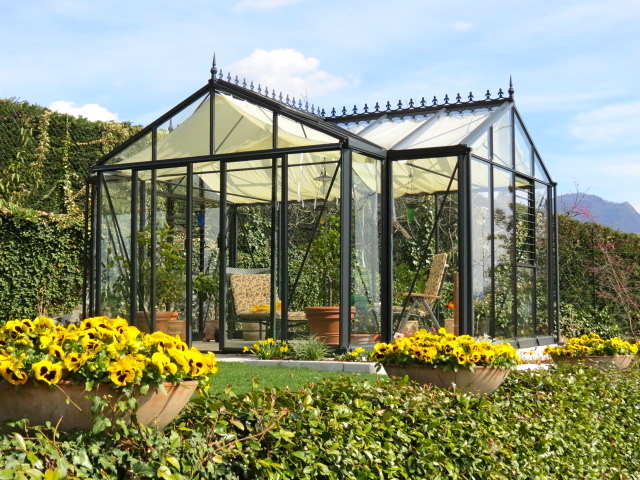 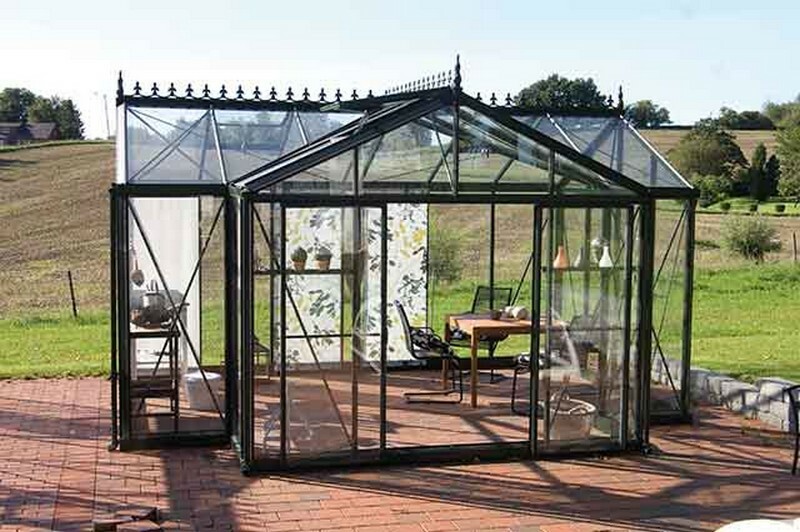 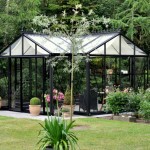 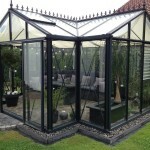 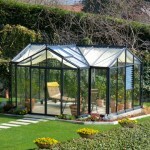 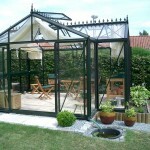 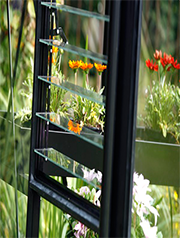 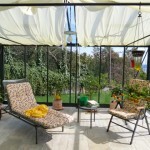 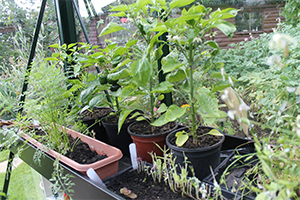 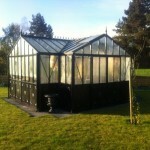 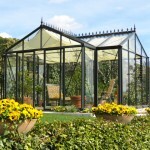 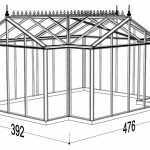 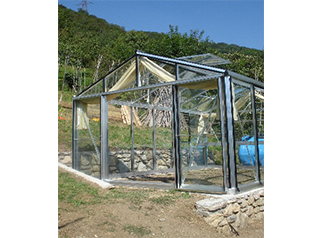 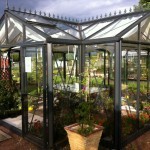 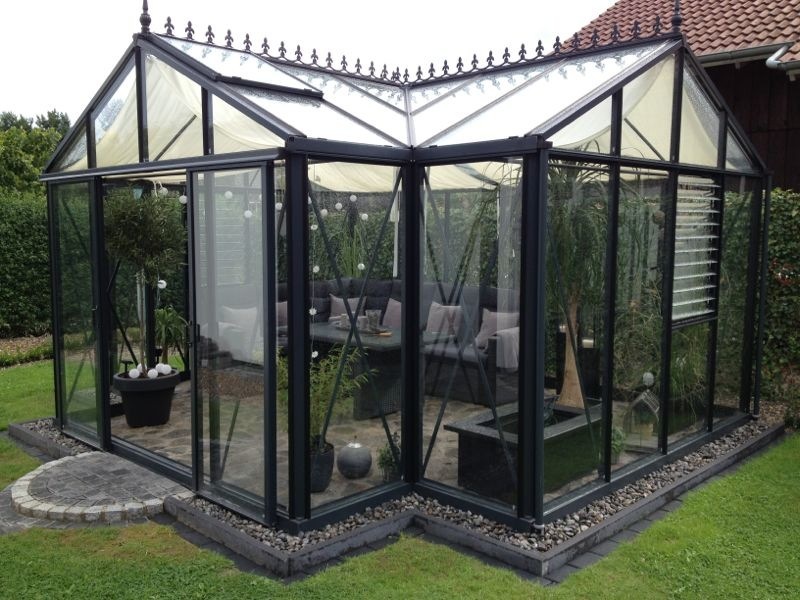 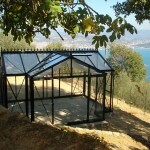 The Helios T Greenhouse like the Eos T is a most attractive model and makes a great feature in any beautiful garden. 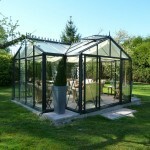 The Helios T has a lower pitch than the Eos at 25° giving a more contemporary style. 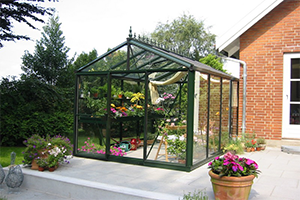 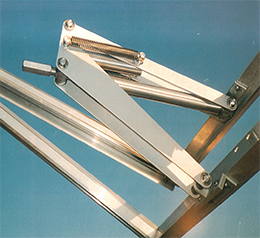 Made with strong͚box section͛ Helios aluminium profiles providing optimum strength and value for money. 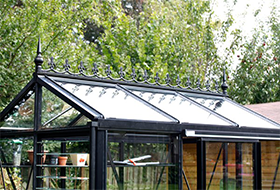 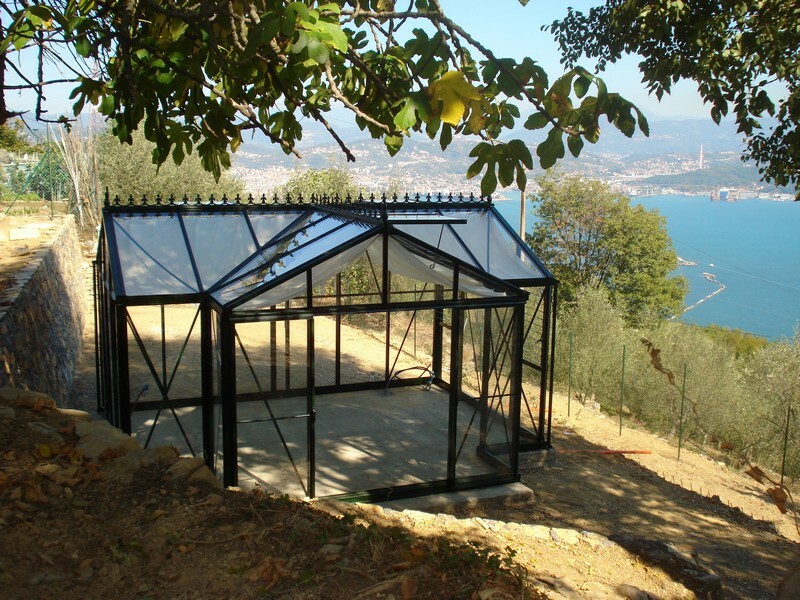 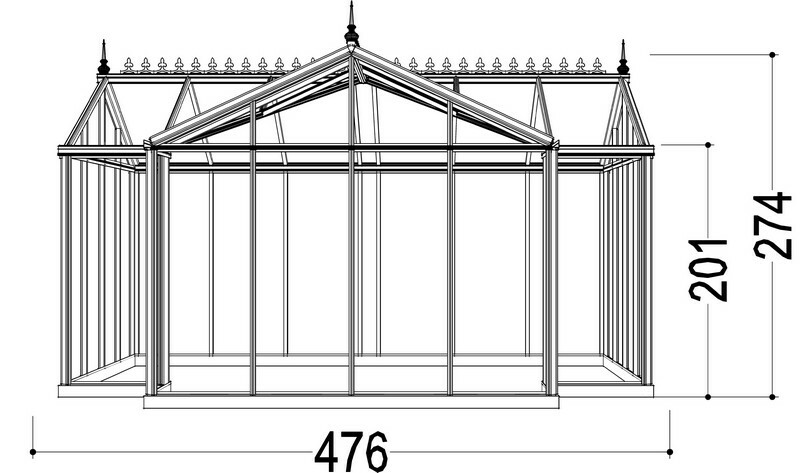 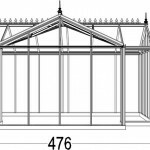 This range is customisable, you can pick and choose from a wide range of options to make your dream Greenhouse a reality. 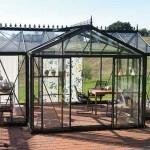 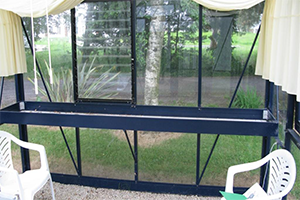 Ireland is the windiest country in Europe, with strong box section aluminium profiles, full length rubber glazing strips and storm bracing available, the Helios T is a wise choice. .
For this sort of strength and quality and design, the Helios T represents outstanding value at a fraction of the cost compared to other Greenhouses on the market of similar specifications..
Polyester powder coating protects the aluminium frame from tarnishing with exposure to the elements and is available in a wide range of attractive colours. 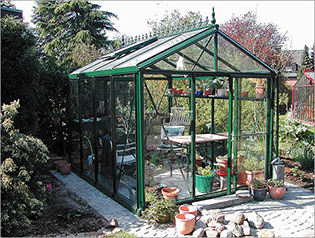 It is a durable long lasting finish, a bit like enamelling. . 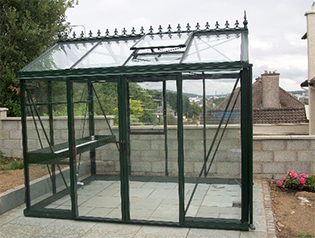 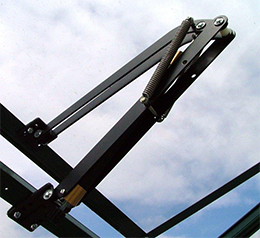 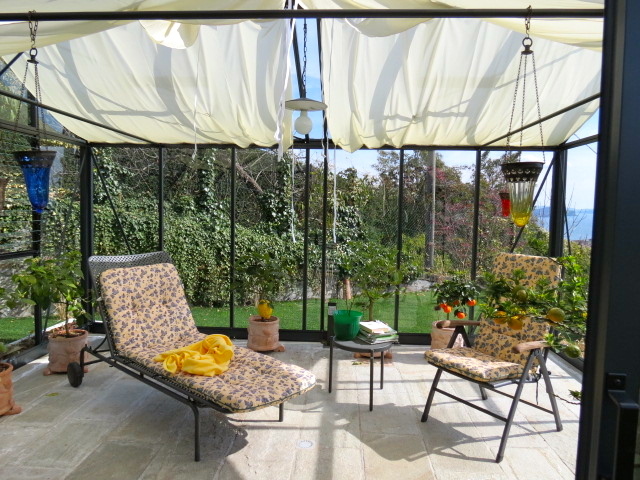 The Success Line Orangery has a choice of two colours, Green (RAL 6009) and Black (RAL 9005).